Genesis offers students many different opportunities to travel domestically and internationally throughout their time at Secondary School. 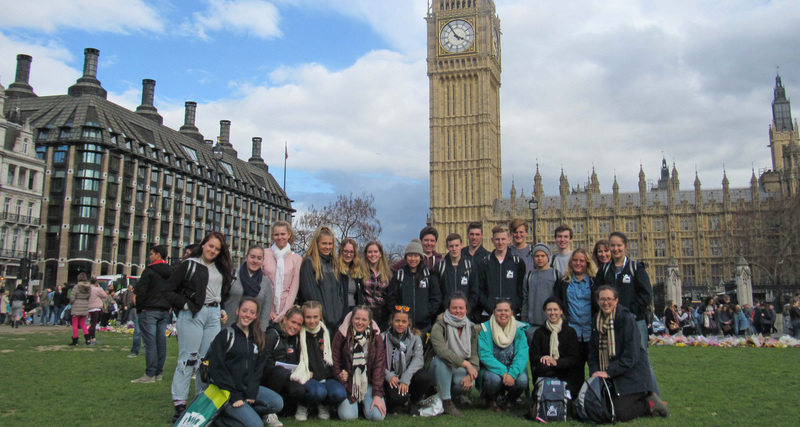 Study tours enable our students to connect with peers in both in Australia and in other countries, experience new cultures and develop new understandings of their place in the world. We believe travel enriches students’ lives by providing them with opportunities to gain geographical knowledge about other countries and develop multicultural awareness. Learning about different cultures and customs firsthand will also have an impact on our young learners. Although these experiences might be clearly different from their own, they are important in providing students with a greater understanding of the rich variety of cultures and customs that form the tapestry of our global community. By gaining a deeper understanding of the role and responsibilities they have as active and informed global citizens, it is hoped that Genesis students will develop greater awareness of international issues, including human rights and the need for Christian empathy. opportunities for increased proficiency in the use of another language. 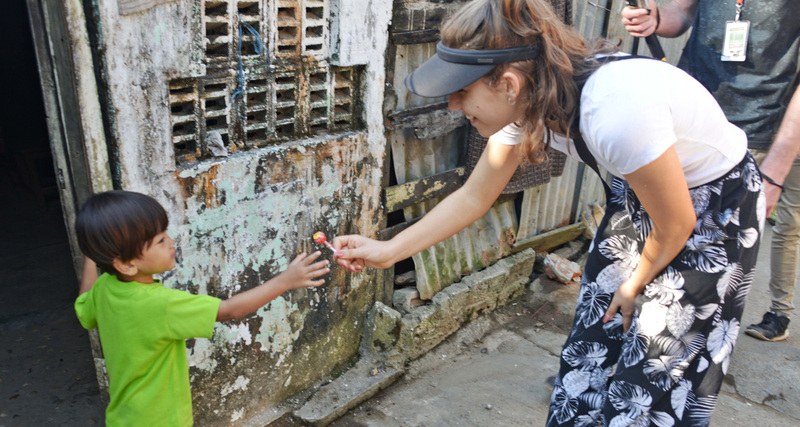 For “Schoolies Week”, Genesis Year 12 students are encouraged to participate in an annual mission trip to the New Life Trust Orphanage in Myanmar, formerly known as Burma. The trip is seen as the final journey from child to adulthood and is aimed at instilling a deep sense of empathy for all human beings and a commitment to serving one another as global citizens. During the trip, the students are encouraged to fully immerse themselves in this cultural exchange and life changing experience. While involvement in the orphanage is the main aim of the trip, some sightseeing is also included. All students who attend, including the general school population, are involved in fundraising activities during the year to raise the necessary financial resources needed to fund the projects that will be undertaken. involvement in sporting and dance activities. Every two years, Secondary Students from Years 8 to 12 have the opportunity to visit Japan and attend a Japanese High School. During their 20-day stay, they participate in daily class activities while boarding with a host family from the College’s sister school, Minokamo High School, in the rural area of Gifu Prefecture. They prepare for their adventure by attending Japanese Club before departure and by taking intensive language preparation and culture awareness lessons at the sister school dormitory. This experience immerses the students in the Japanese language as well as learning about the history and social structure of Japan and its people. An annual visit from the Year 9 students of Minokamo High School also provides rich cross cultural opportunities to experience and develop respect for and understanding of the Japanese culture. The Humanities Europe Study Tour is a biannual opportunity for senior students and is designed to enrich the experience of students who have an interest in, and passion for, the study of history, geography and law. The next tour will depart in April, 2019. Much of the work completed in class by students across the secondary years centres on European countries and the impact that events and people there have had on modern Australia. The Humanities Study Tour aims to make connections and develop a deeper understanding of the reality of our history through first-hand experience and inquiry based learning. Students will have the opportunity to explore sites of historical significance such as Rome, Pompeii, Florence, Berlin, Prague and Munich. The study tour will be open via application to students who will be in years 10, 11 and 12 in 2019. World Challenge is focused on developing life skills as it is a student-led expedition that requires students to fundraise, plan and organise their own trip. An experienced World Challenge leader guides and mentors students in-country as they are expected to manage the itinerary, budget, meals, accommodation and transport. Every two years, Secondary students in Years 10 to 12 have the opportunity to embark on the adventure of a lifetime through the World Challenge program. Past trips have ventured to Vietnam and Cambodia. The next Genesis World Challenge team will be travelling to Costa Rica and Nicaragua. For further details on upcoming Genesis World Challenge teams please contact the College. For more information on World Challenge please visit their website. The USA Performing Arts Tour is an exciting opportunity for all Years 9 to 12 students, to enhance their dance and performance education. backstage tours of Broadway, Radio City Music Hall and the Rockefeller Centre. 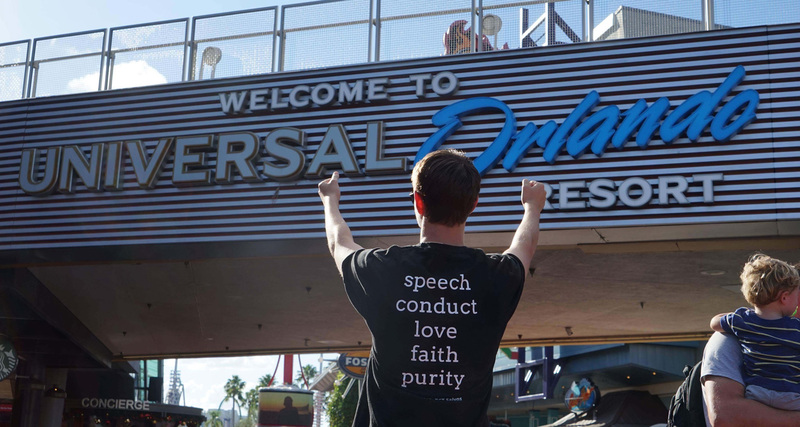 take part in a live public performance in Disneyworld. The tour will also incorporate site seeing opportunities such as the Statue of Liberty, 9/11 Memorial, Universal walk and more. The purpose of this tour is to challenge, extend and inspire students in their dance endeavours, whilst giving them new cultural and educational experiences, outside of the classroom. All students who believe they qualify are invited to apply for a place on the team. 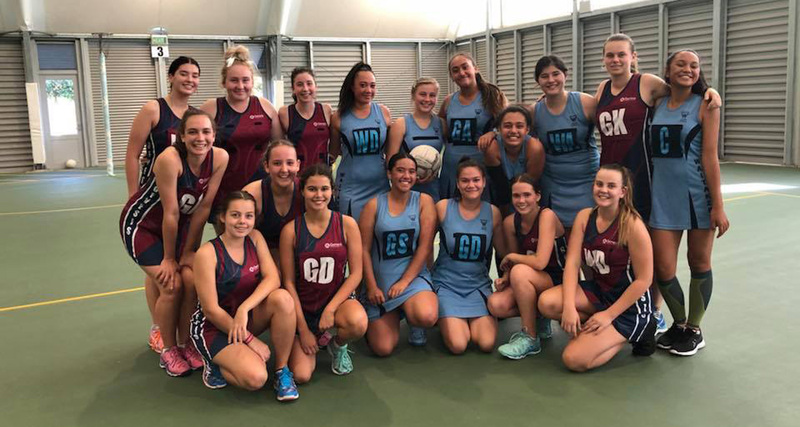 Netball players from Years 8-12 travelled to New Zealand for their first trip this year in April. The tour comprised of playing against five New Zealand schools. Along with improving their netball skills, the trip also provided fantastic opportunities for our team to develop great relationships with competitors from other schools. Run annually, this trip to the Hillsong Conference is open to applications from Years 10-12 students. The Hillsong Conference is all about championing the cause of THE Church of Jesus Christ and it’s for people who are passionate about the local church and the call of the Kingdom of God. Inspiring fresh vision and hope for the future, this conference encourages leaders and believers alike to make a difference in their sphere of influence for Kingdom’s cause. Find out how to enrol at Genesis and download our schedule of fees. We’ll keep you up-to-date with key enrolment information and College news. Learn how we nurture and guide students in developing individual pathways. Genesis Christian College is a co-educational Prep-Year 12 Christian school, located in Bray Park. Genesis caters for over 1500 students on one dynamic site.